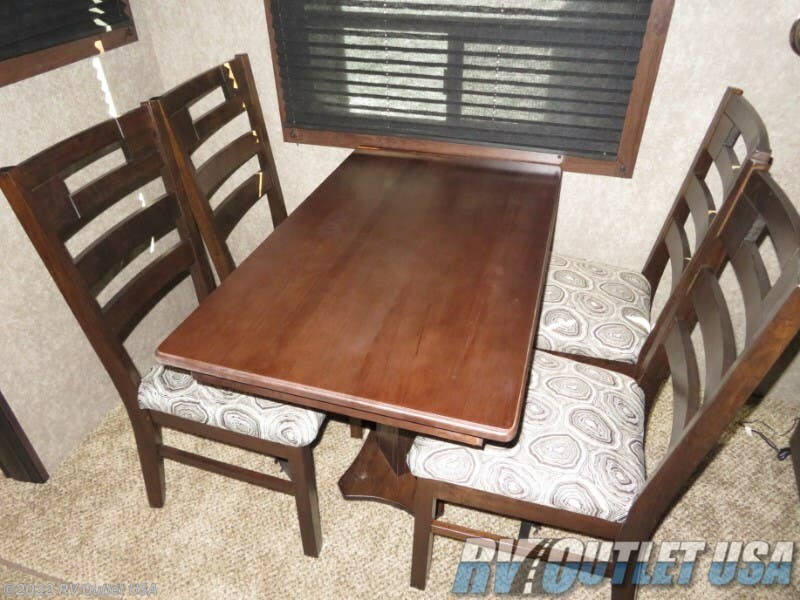 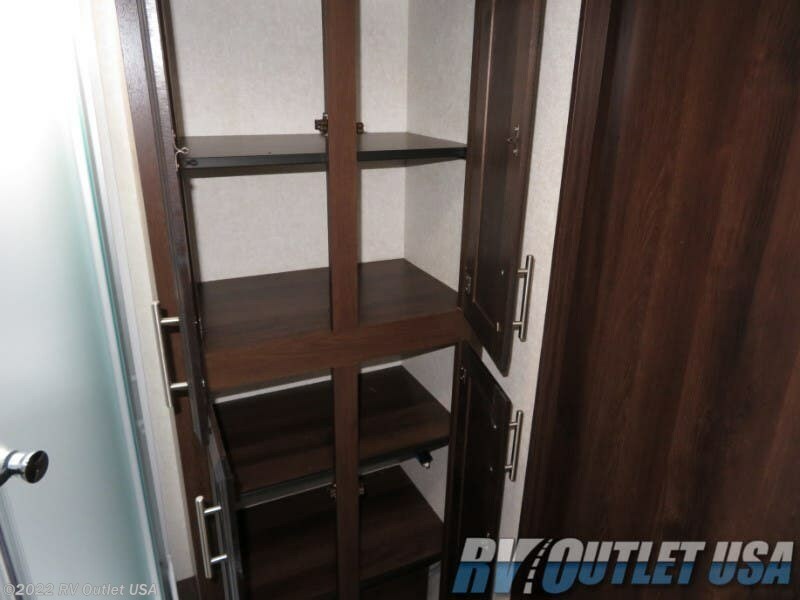 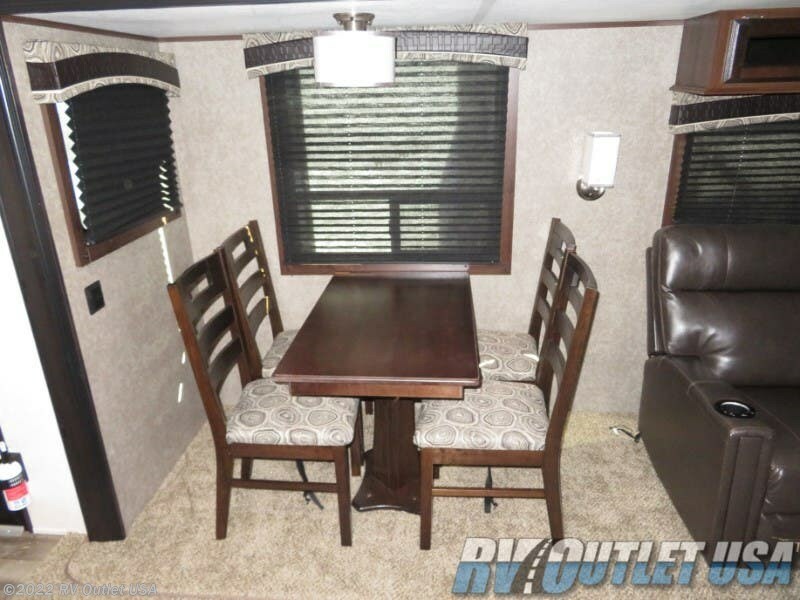 THERMAL PACKAGE ** HIDE-A-BED ** FREE STANDING DINETTE! 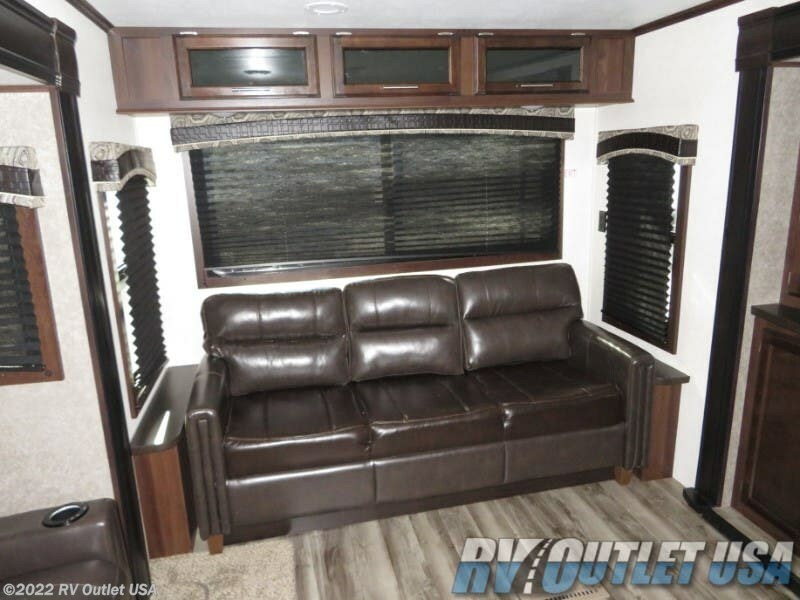 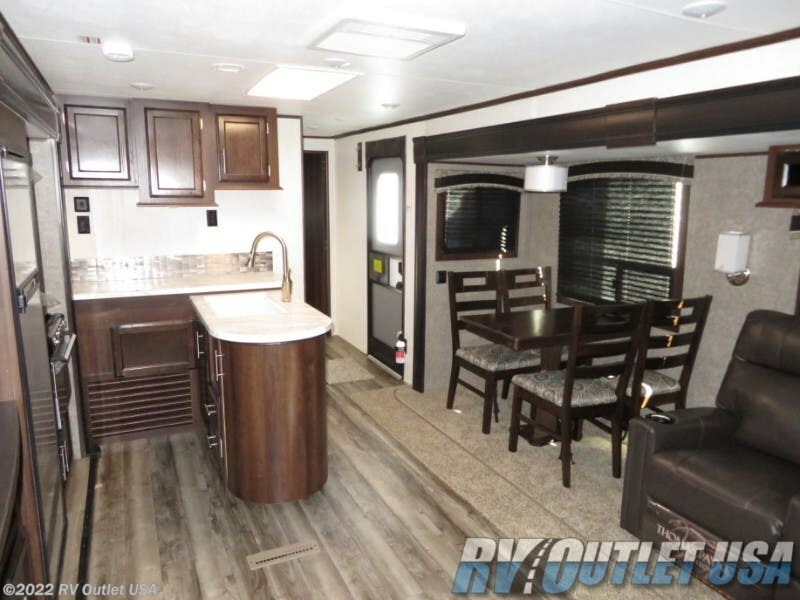 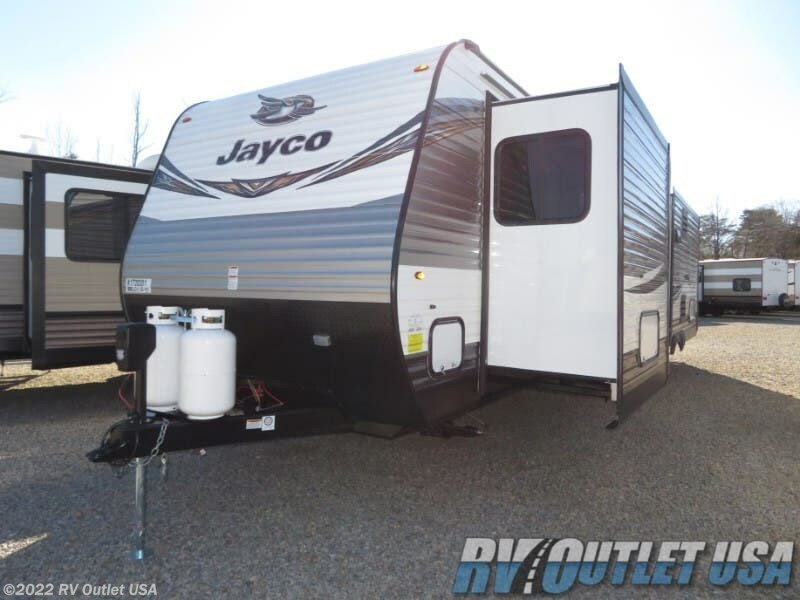 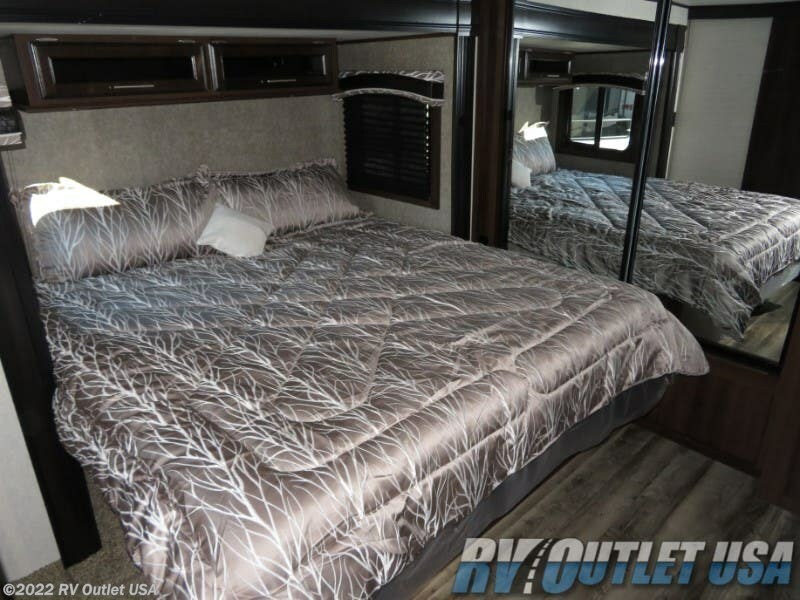 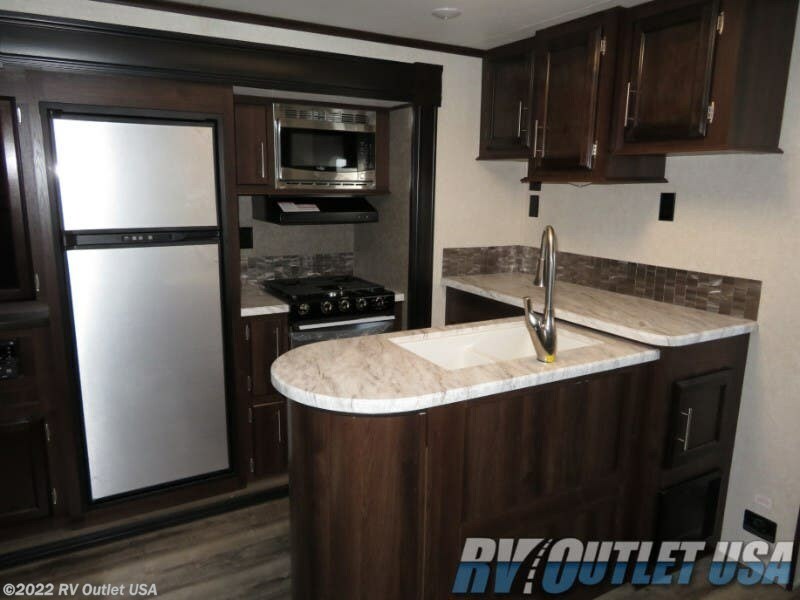 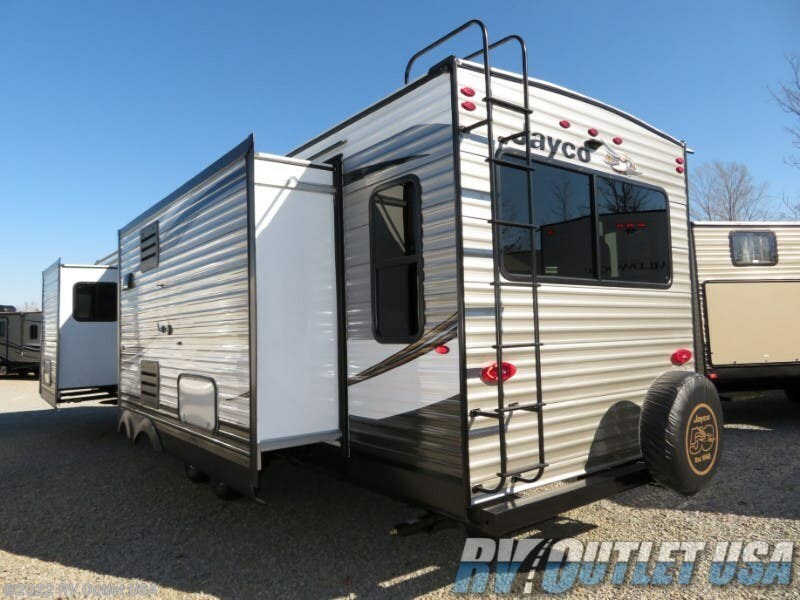 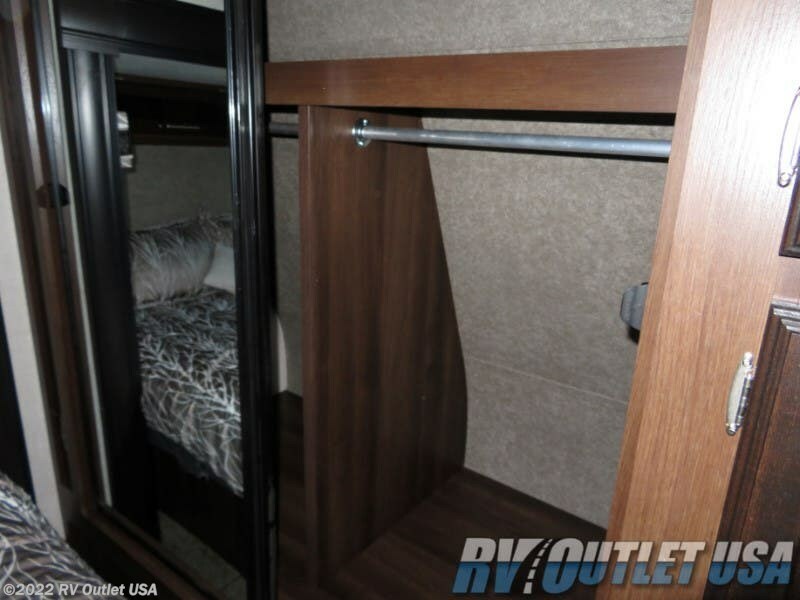 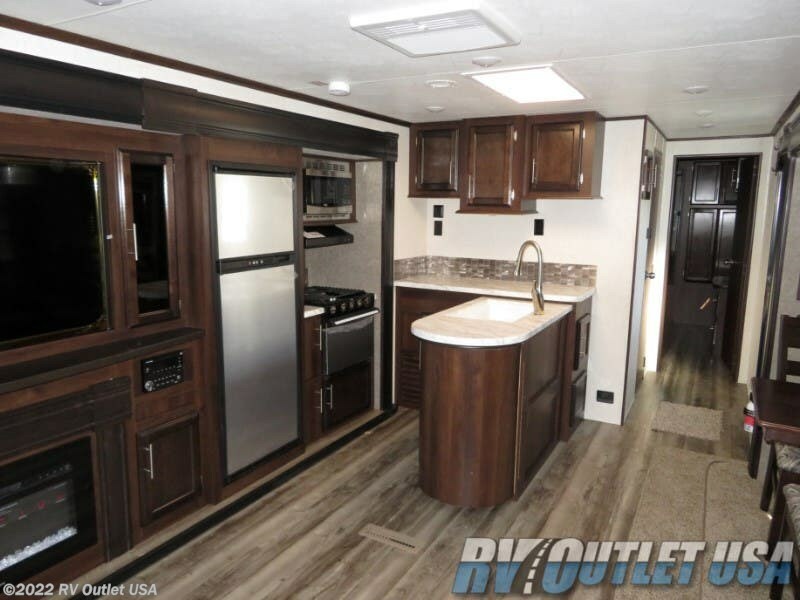 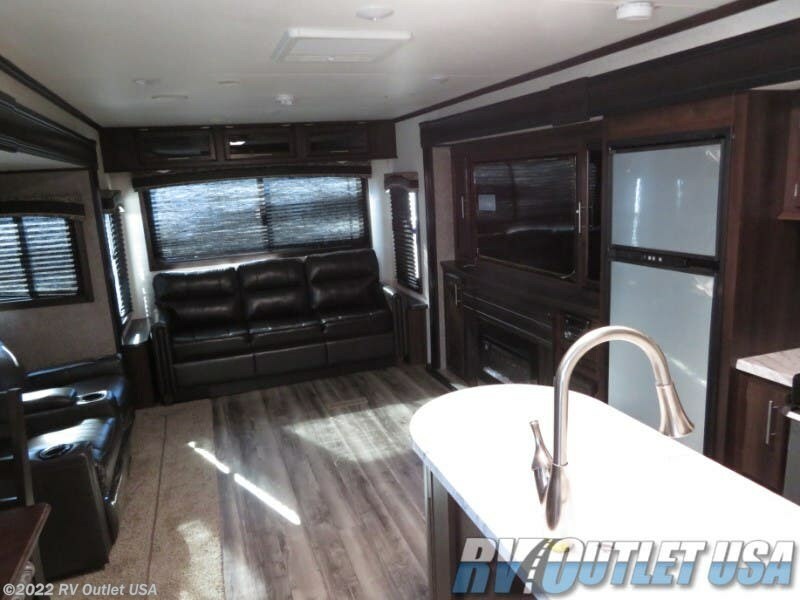 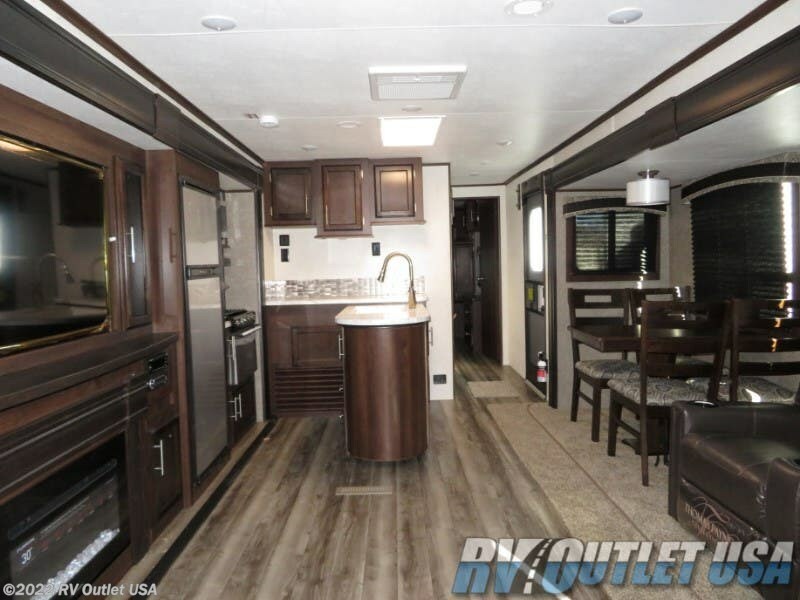 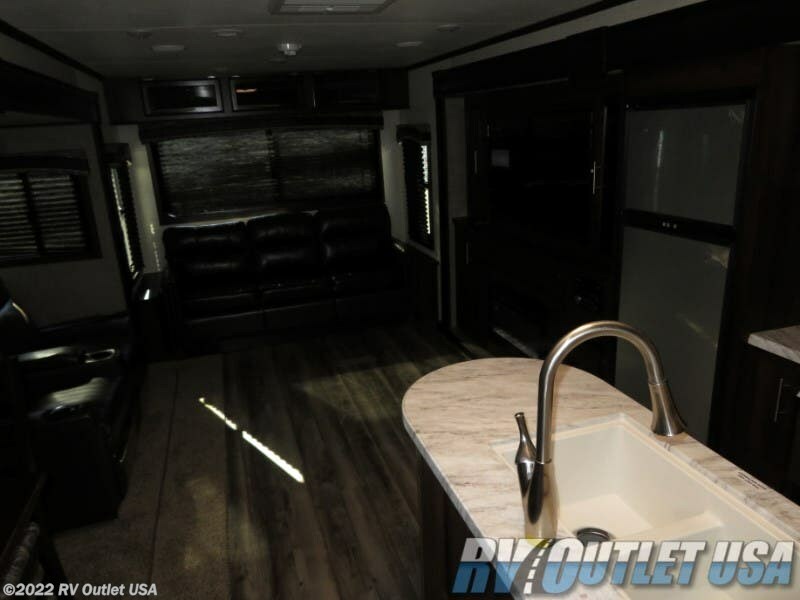 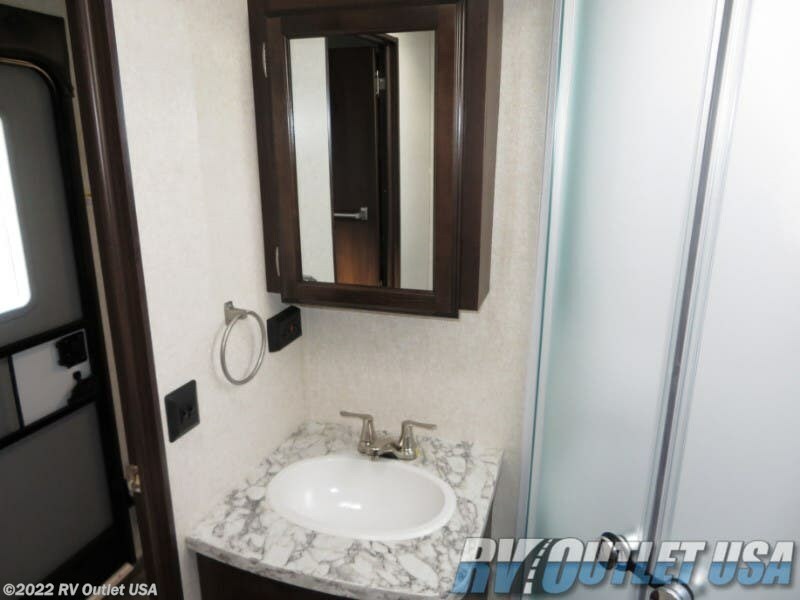 Introducing one of Jayco Jay Flight's newest and best selling travel trailer floor plans, the brand-new 2019 Jayco Jay Flight 34RSBS which has three slide outs, a King bed slide in the master bedroom, a huge living area, and a ton of nice features and options. 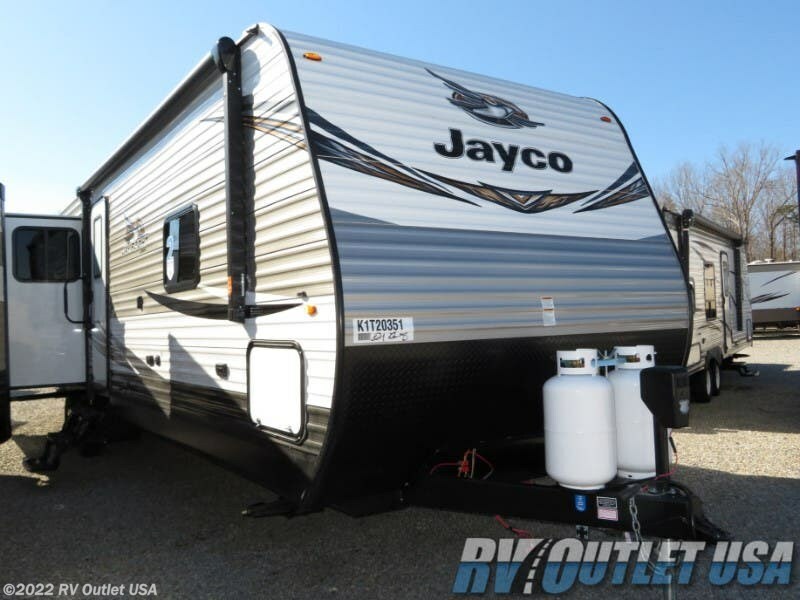 The Jayco Jay Flight travel trailers are the #1 selling travel trailers in the country for 10 years running!! 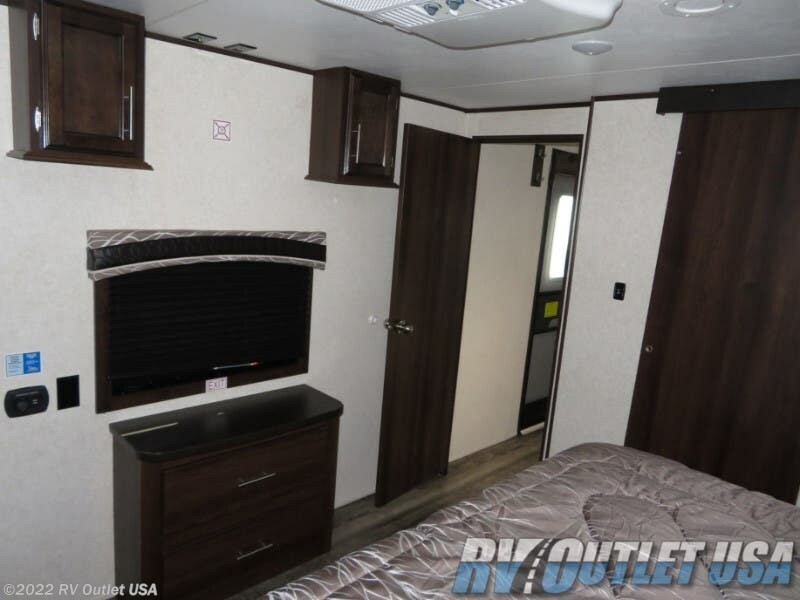 This floor plan again has a King bed slide in the master bedroom, and has a large wardrobe at the front with another wardrobe that's been prepped for washer and dryer, and it has a dresser at the foot of the bed. 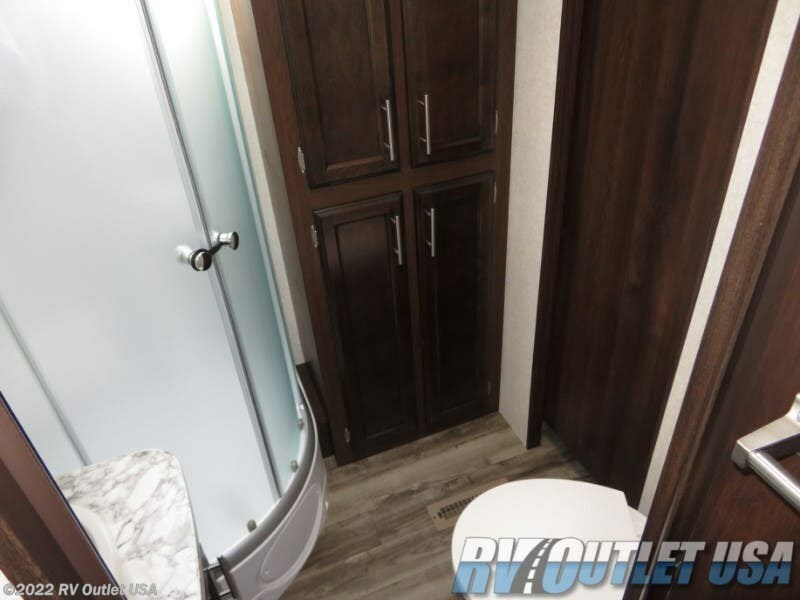 This 34RSBS also has a side aisle bathroom with the radius shower with glass enclosure, a foot flush toilet, a large wardrobe, a sink with underneath storage and a lighted medicine cabinet all in one room for privacy. 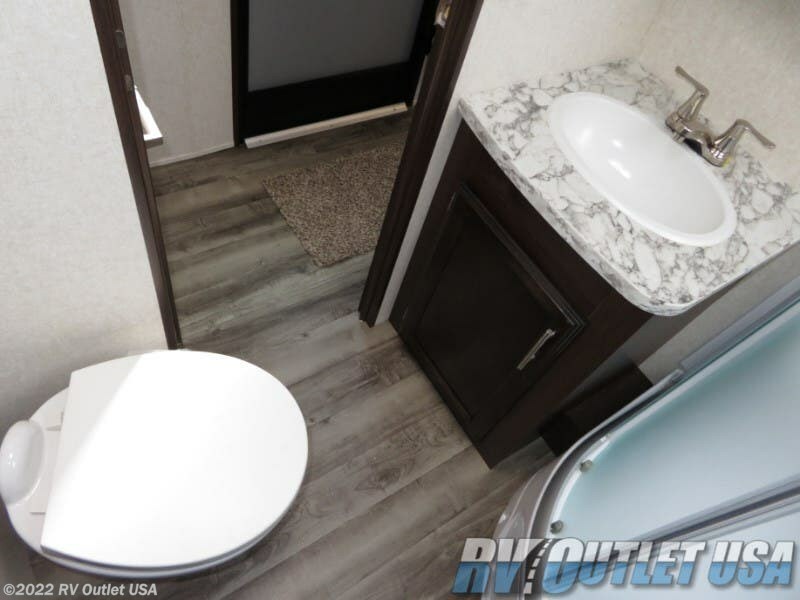 Mom's going to love the bathroom in this RV!! 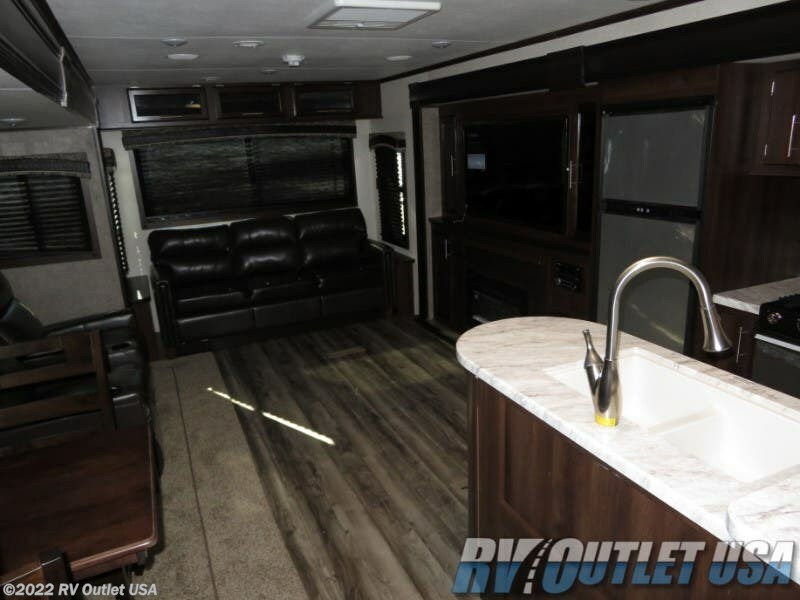 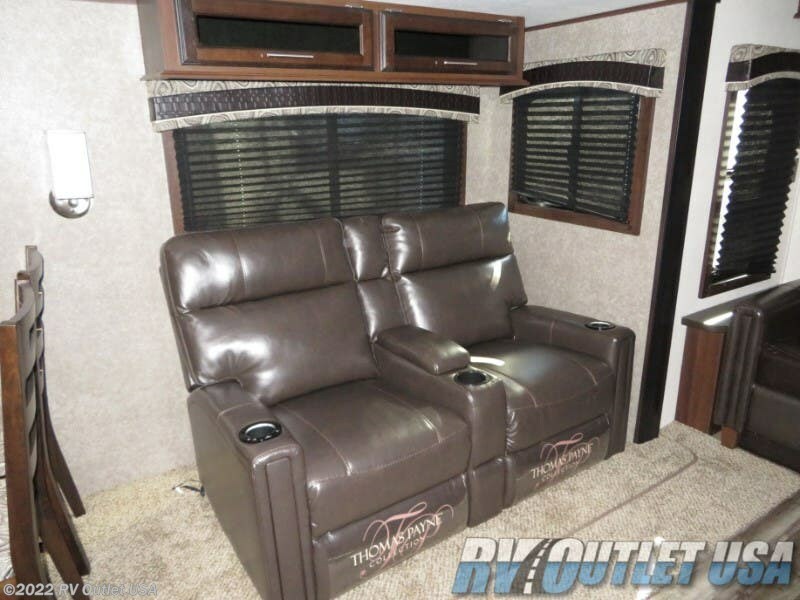 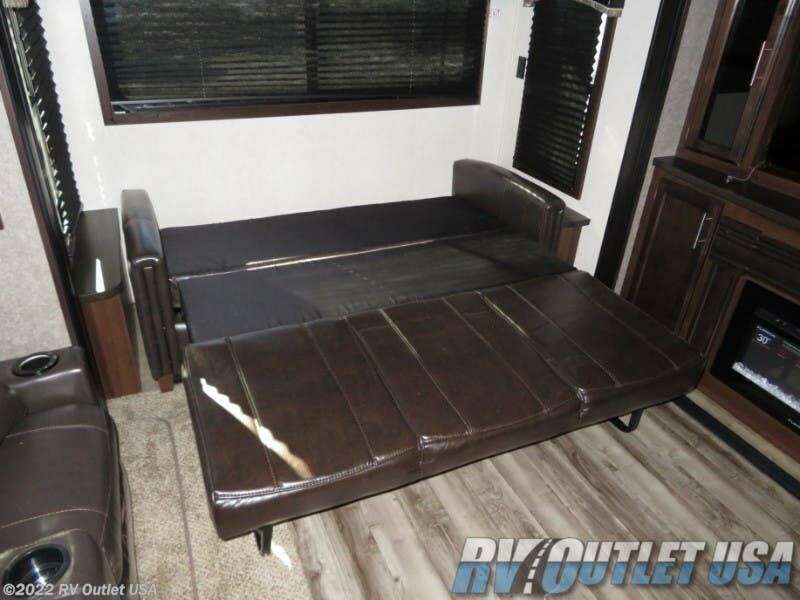 The living area in this RV is huge because of the two opposing slide outs. 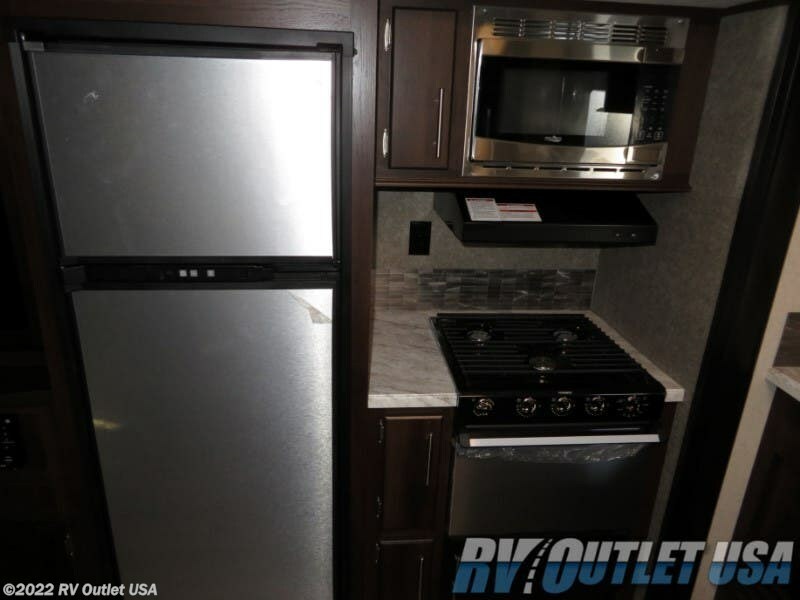 The slide on the off door side towards the front has a three burner stove top with oven, a large double door refrigerator, overhead cabinets with a built-in microwave, and it has an L-shaped counter top that extends from the bathroom wall with more overhead cabinets and a double stainless steel sink with underneath storage. 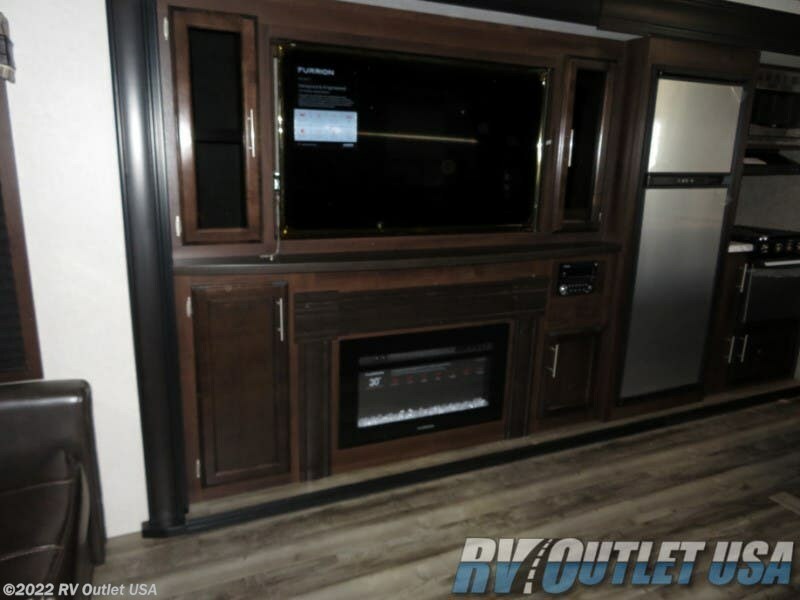 Towards the rear of that slide is the entertainment center which has the upgraded 50" LED TV and an electric fireplace underneath. 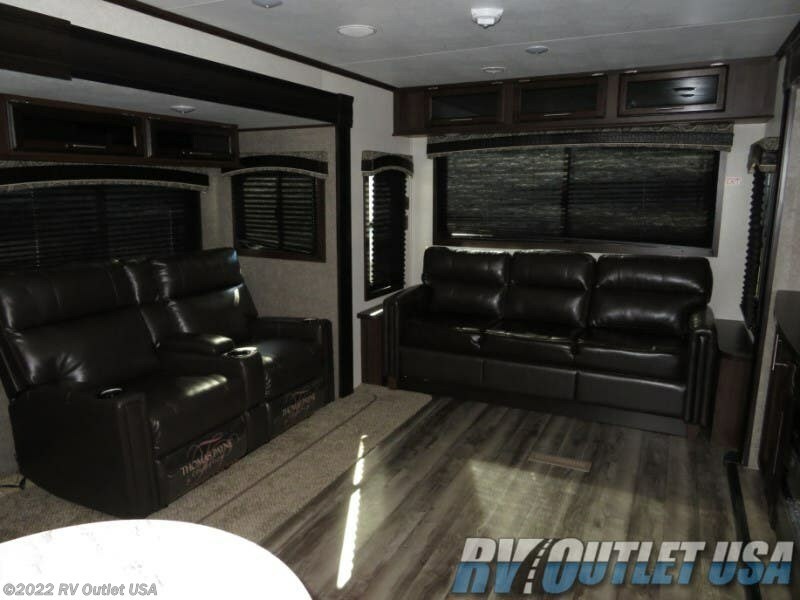 The slide on the door side towards the front has a free standing dinette with (4) chairs and the super nice theater seats which face the entertainment center perfectly! 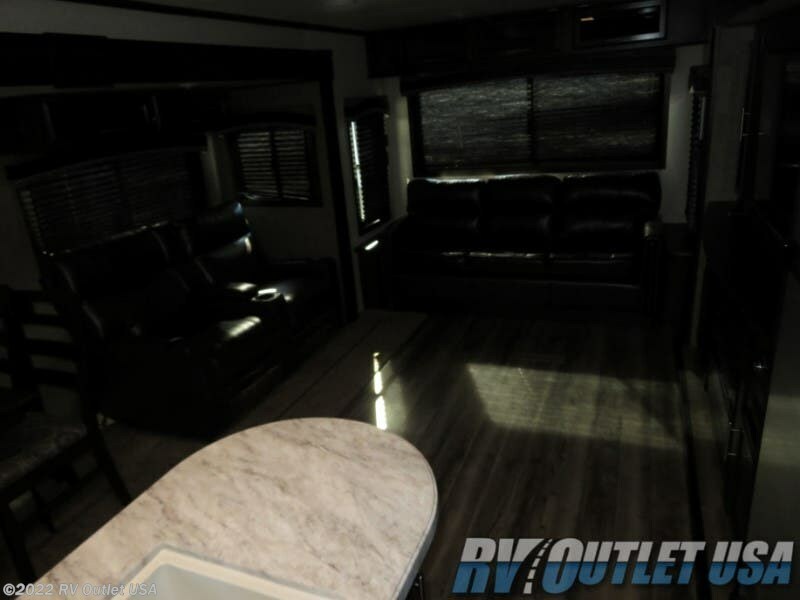 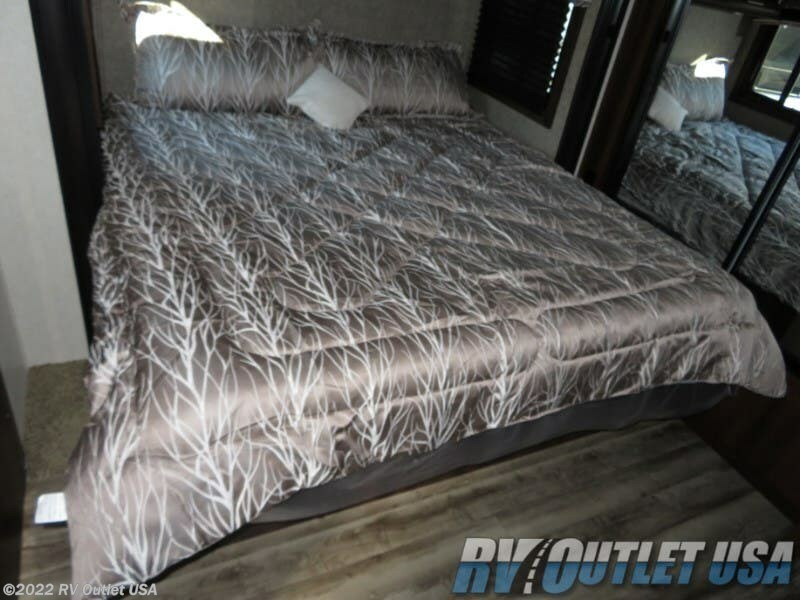 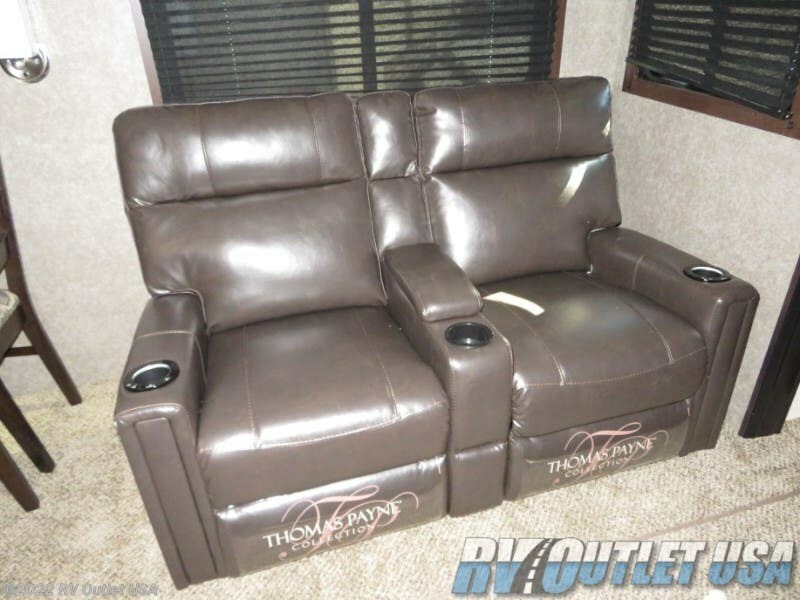 In the rear the coach is the optional hide-a-bed sleeper sofa which allows you to sleep up to (4) people in this RV. 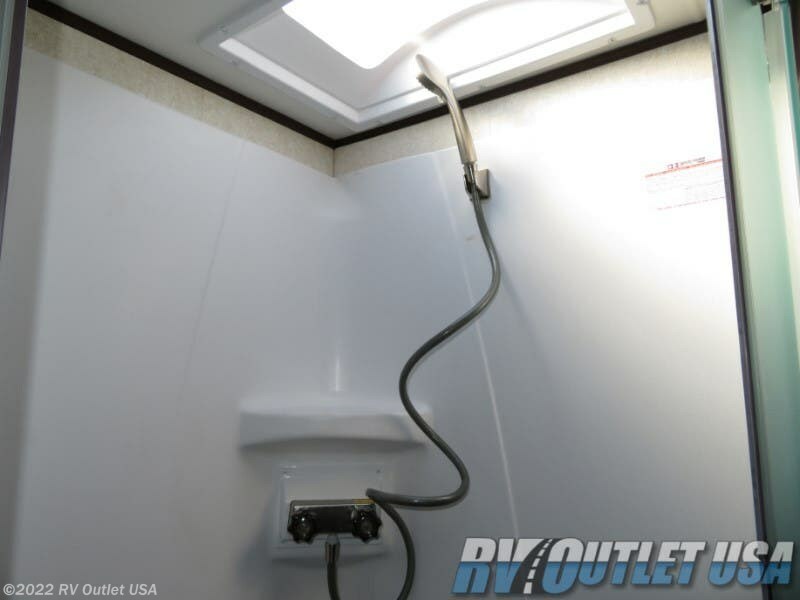 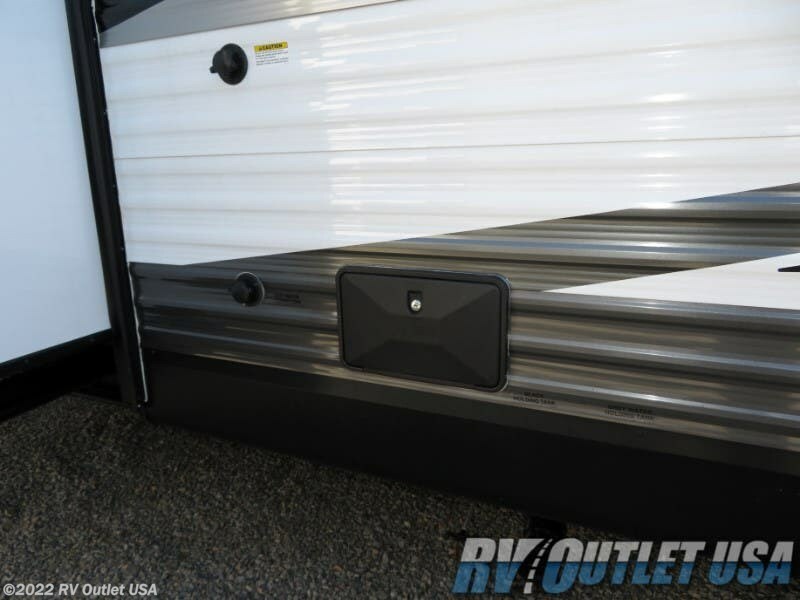 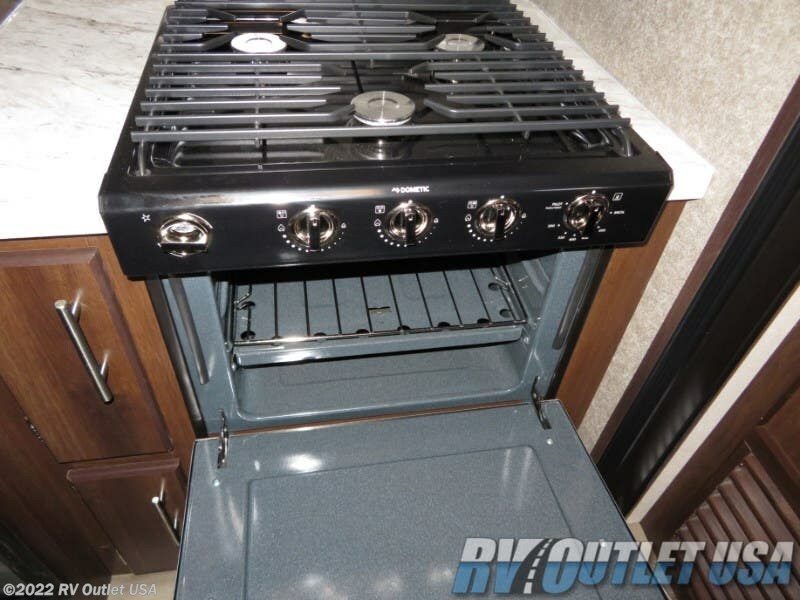 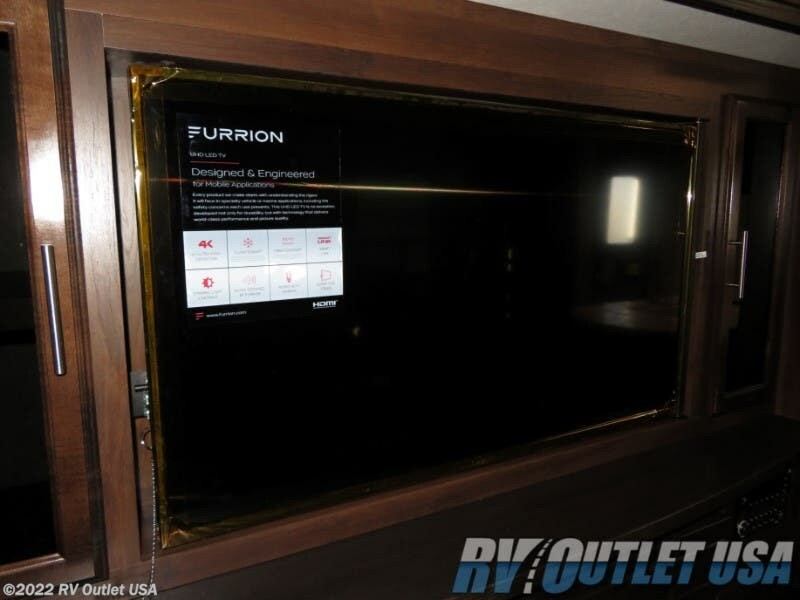 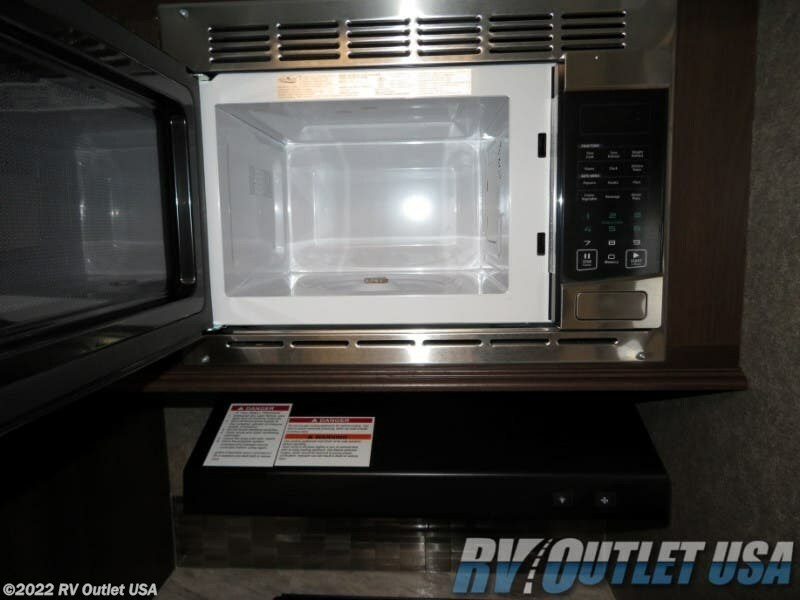 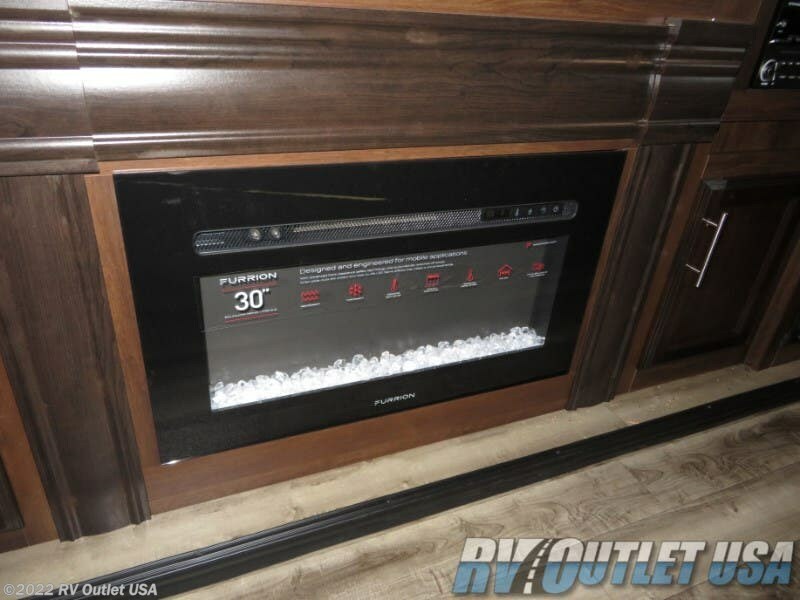 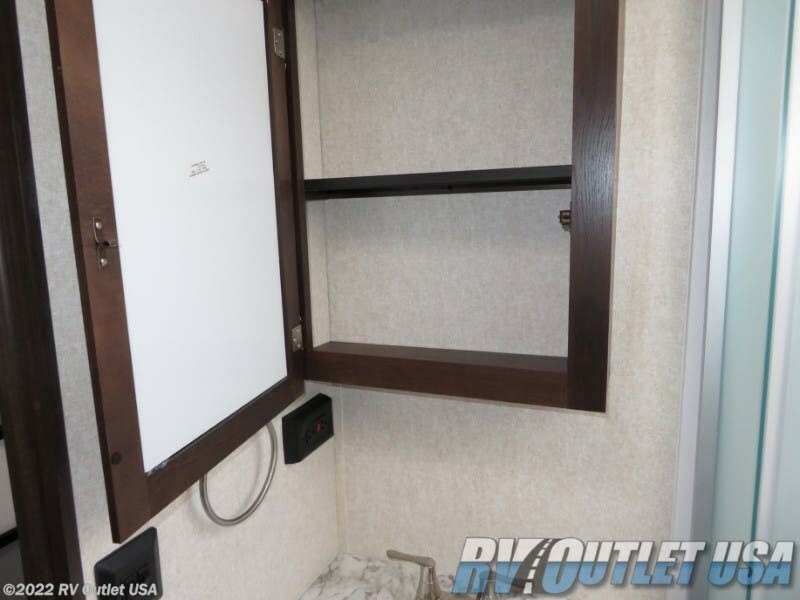 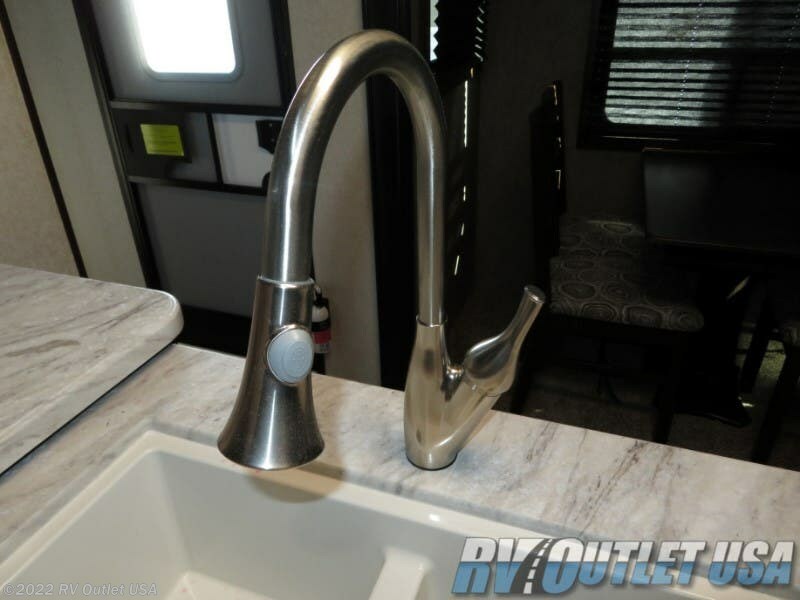 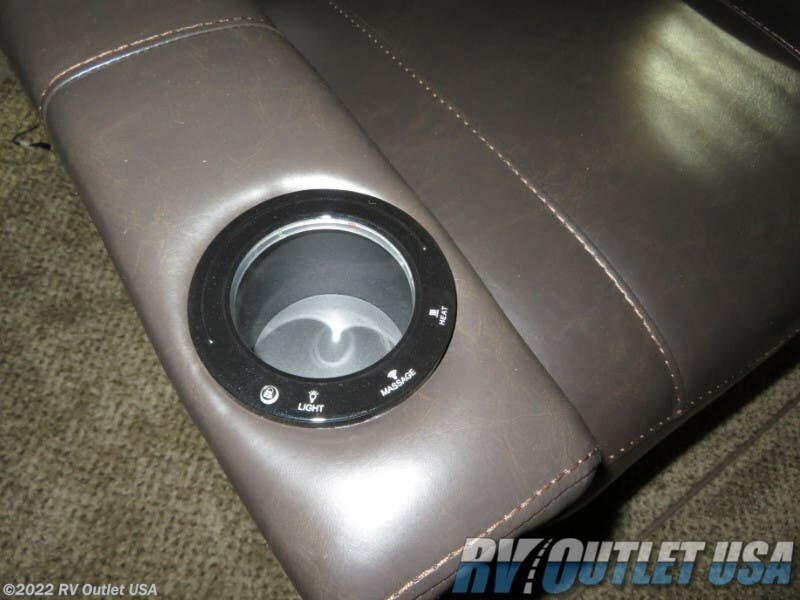 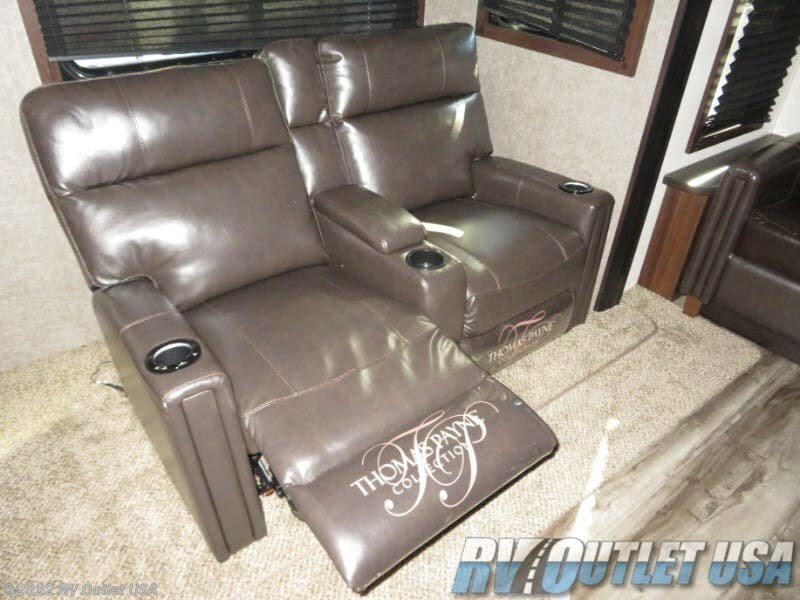 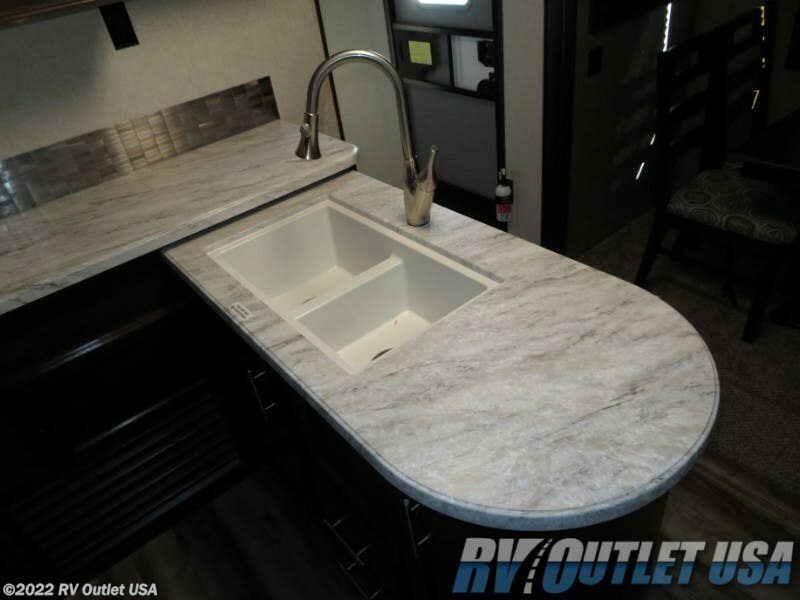 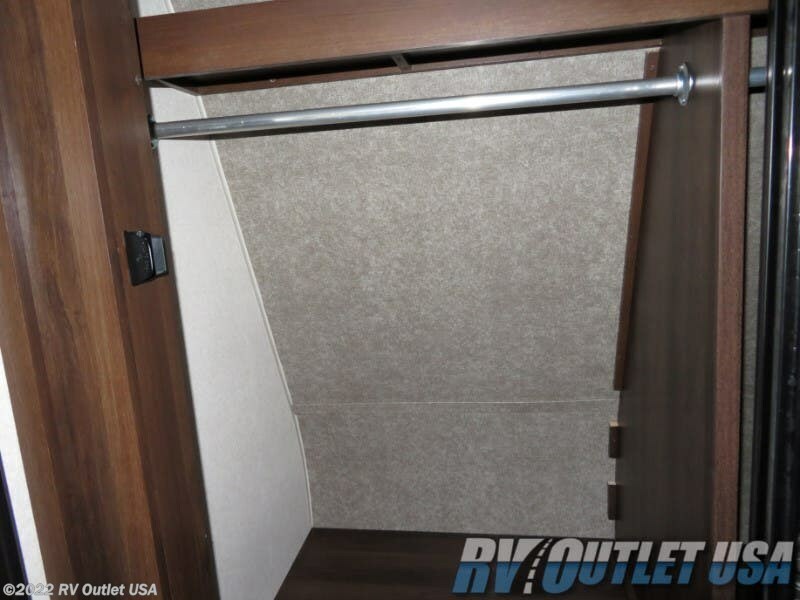 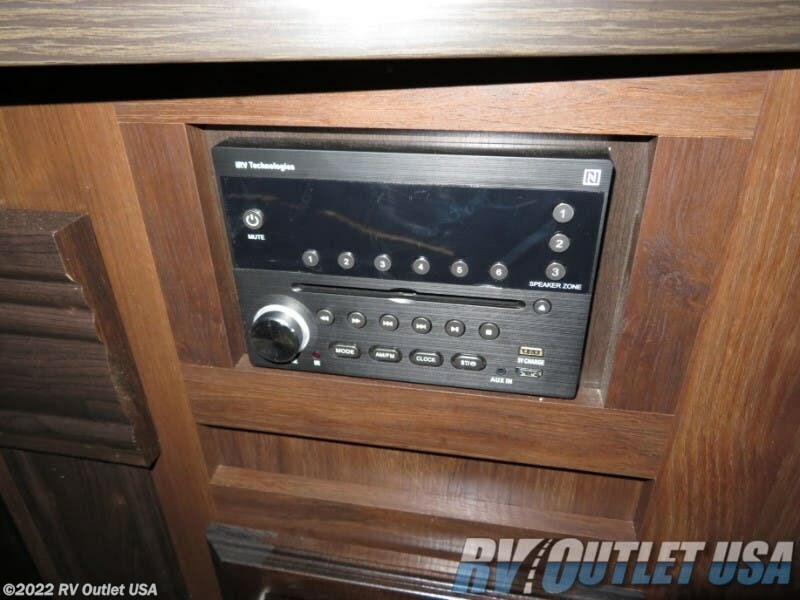 It's a nice RV with a lot of nice features and options here's a list. 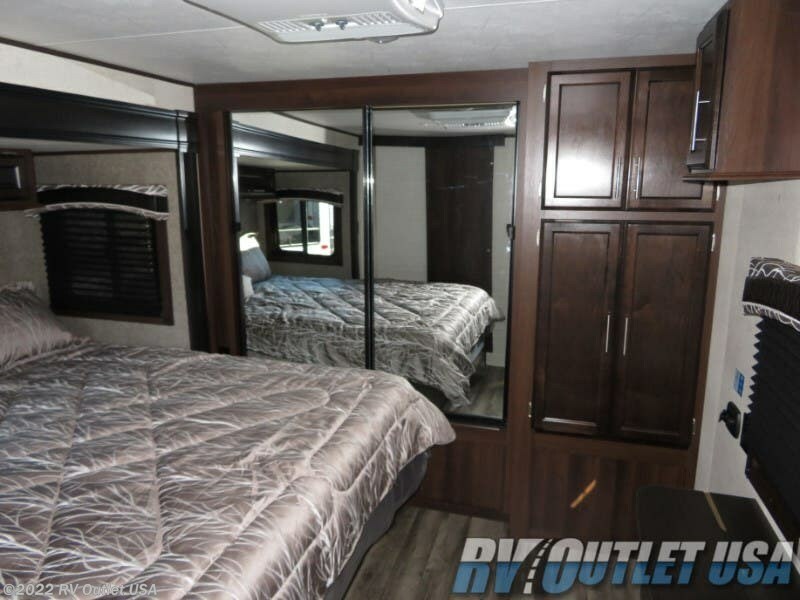 The interior color is Saddle, it has the CVP (customer value package), the dual A/C package with a 15K BTU air conditioner in the main living area and a 13.5K BTU in the master bedroom! 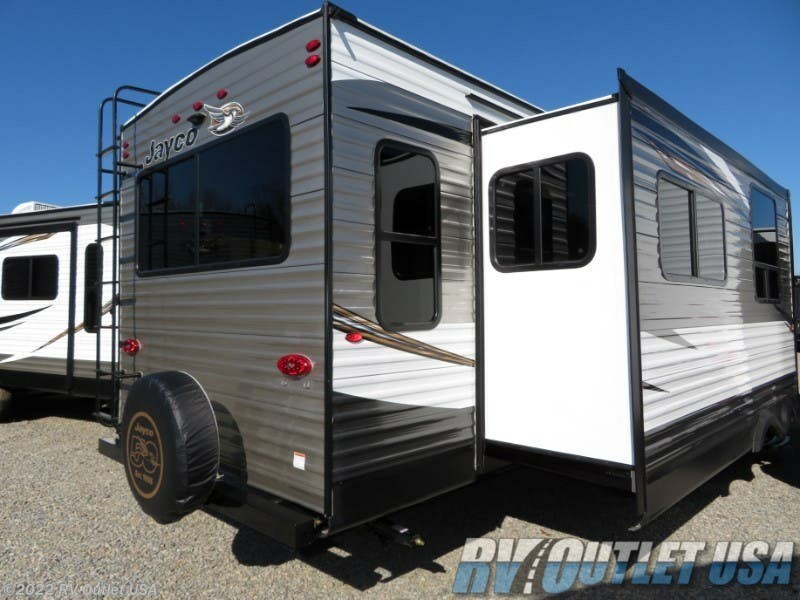 It has the Elite package, the Thermal package with the enclosed underbelly, a King bed, skylight in the kitchen, a freestanding table with four chairs, a hide-a-bed sleeper sofa, the upgraded 50" LED TV, aluminum wheels, and a rear roof ladder. 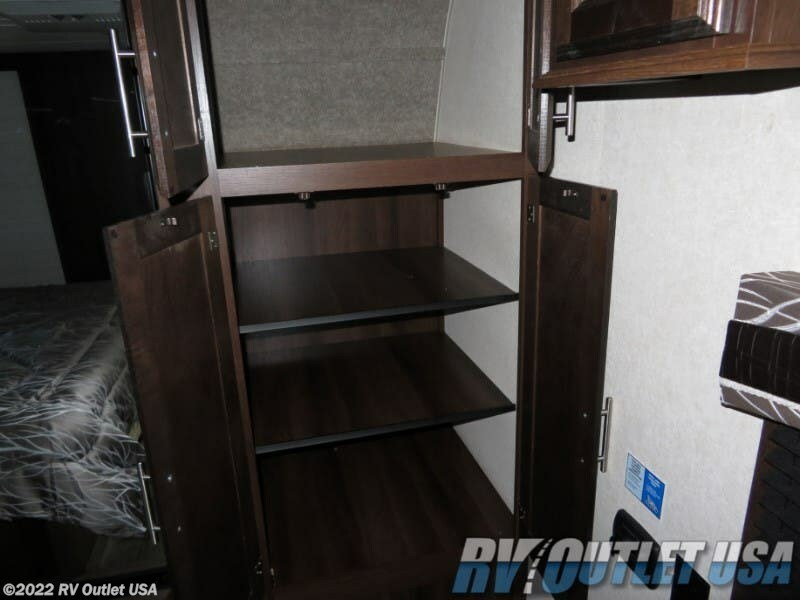 This coach is loaded with options and features. 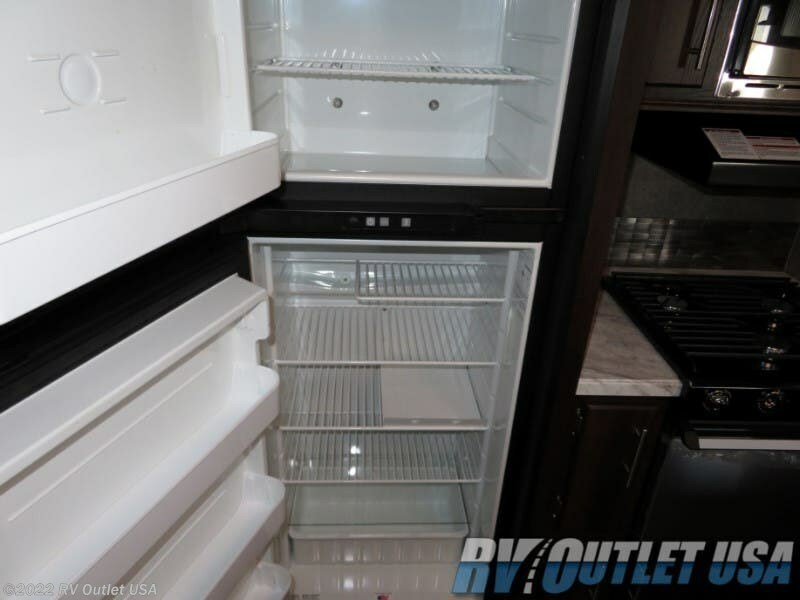 If you have any questions, please give us a call at 888-299-8565 and ask for sales, they'll be more than happy to help you. 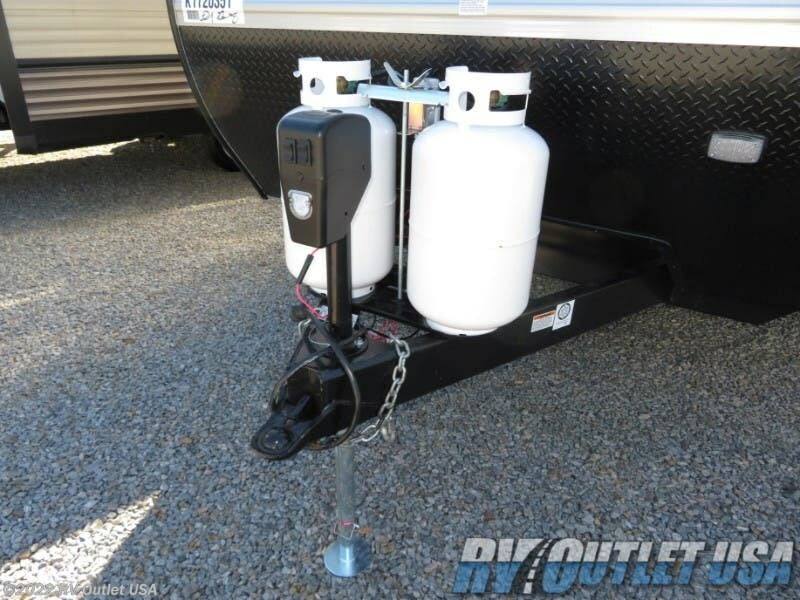 Please keep in mind WE HAVE NO DOC, PREP, PDI, TRANSPORT or any other fees like the larger chain stores have and we always offer our customers huge discounts on weight distribution kits, parts and accessories. 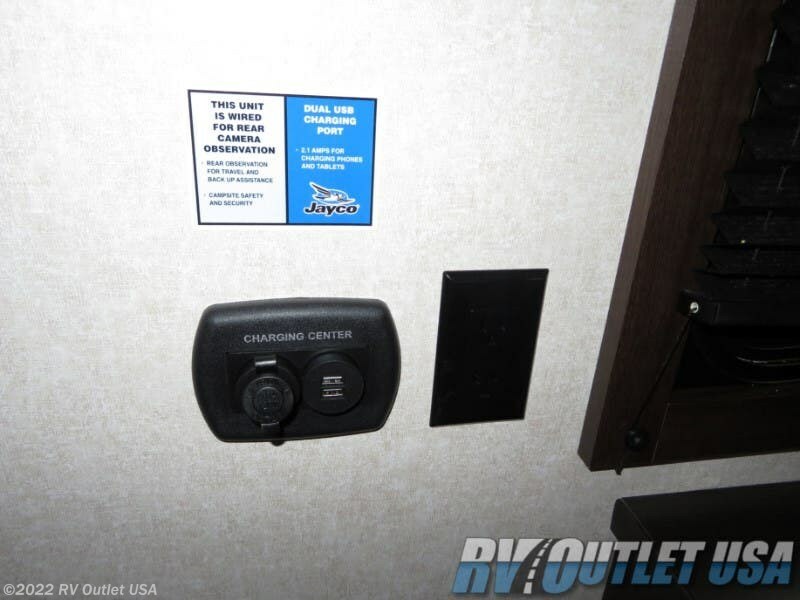 Give us a call, we'd love to earn your business.